Shadow is a typical youngster, loves to play and get into mischief. 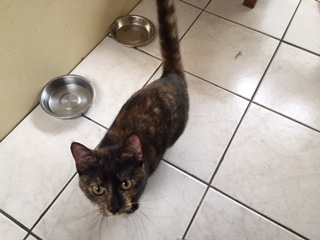 She previously lived with another cat and children but this made her very stressed so we are looking for a calm new home for her without these elements. Shadow loves the company of people and is affectionate but an experienced owner would be best for her. If you would like to meet beautiful Shadow, please complete the online enquiry form. 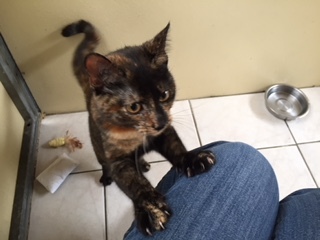 She has been spayed, vaccinated, microchipped and had flea and worm treaments ready for her new home.